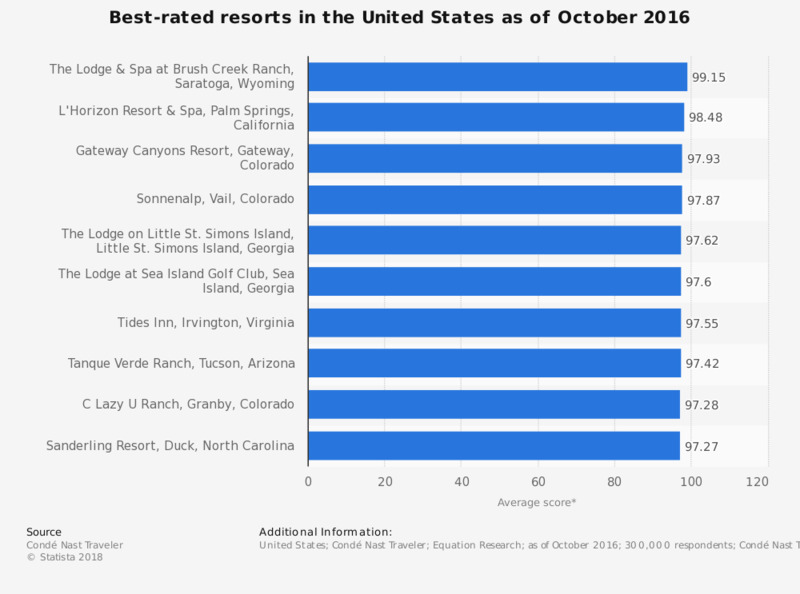 This statistic shows the best-rated resorts in the United States as of October 2016. According to Condé Nast Traveler readers, the best resort in the United States was The Lodge & Spa at Brush Creek Ranch, Saratoga, Wyoming for which they gave a score of 99.15. * Scores are based on a five-point scale (excellent, very good, good, fair, poor) on criteria relevant to the subject being ranked.